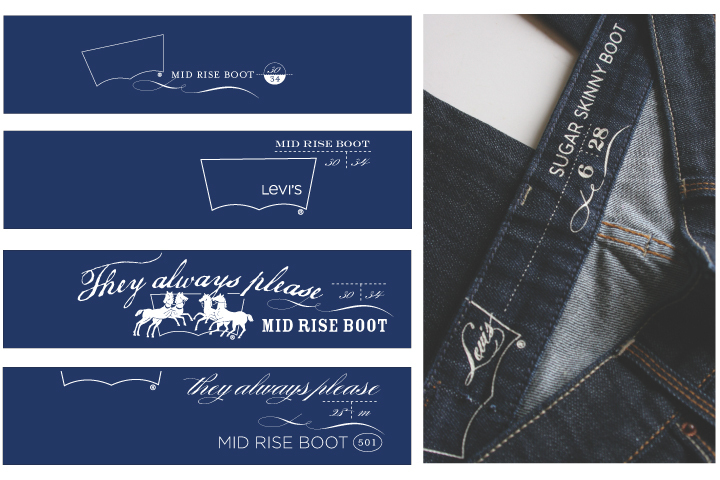 Interior Bottoms Label Interior label design for the middle tier denim line to be implemented on products globally. Juniors Interior Labels / Screenprint Redesign for an updated look for Juniors tops and jackets. Some where used as fabric labels while others translated best to silkscreen application. Levi's Juniors Pocketbag Artwork created based on a Japanese type styling to be printed on the interior pocketbag of Juniors trend denim. Premium Line Internal Label Design for Levi's highest tier brand interior labels. Additional artwork created to be used as stamps / prints for pocketbag placement. 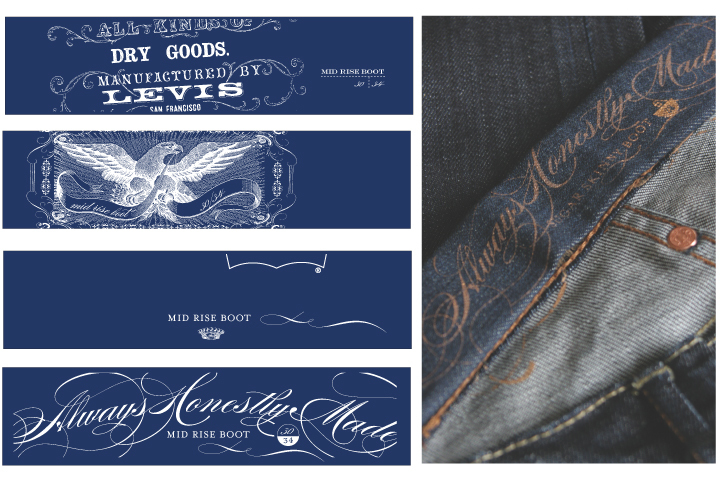 Premium Line Internal Label Concepts for Levi's highest tier brand interior labels. Additional artwork created to be used as stamps / prints for pocketbag placement. Silvertab Hangtags Men's & Women's hangtags for the trend forward Silvertab line within the Levi Strauss brand. Exterior Leatherlike Design concepts for Levi's to replace existing leatherlike label for all denim tiers. POS Flagship store Signage with rubber band and wood mount plates to slip any marketing signage into.